Yaaasss! The Balm Cosmetics Is Now On Nykaa! Paraben and cruelty free brand The Balm Cosmetics is now available online in India thanks to Nykaa! The Balm Cosmetics is one of the only beauty brands that has everything from makeup and nail cosmetics to skincare and haircare products in their roster – and they’re now on Nykaa! Apart from mascara, matte lipsticks and blushes, this sassy American brand also has highlighters, bronzers and face palettes. 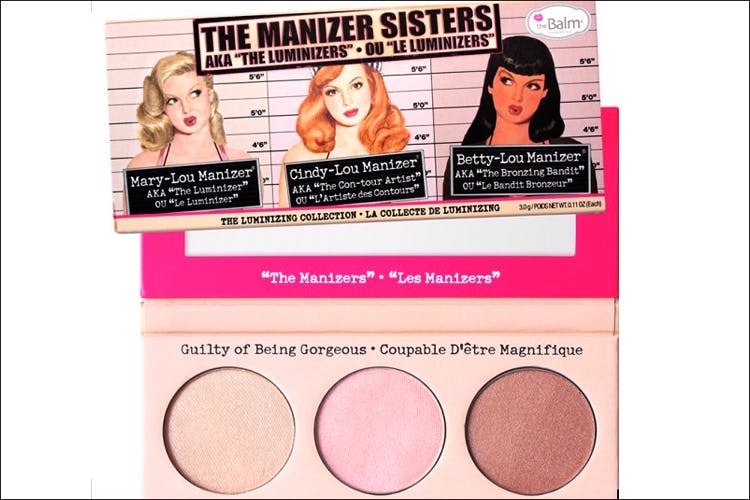 Get their bestselling Mary-Lou Manizer highlighter before they run out of stock! Even if you’re not a big makeup fan, you’ll find yourself drawn to their kitschy retro packaging with 50’s vintage women mascots. Also the names are so cute – Bahama Mama Bronzer, Down Boy Blush, and Hot Mama Blush to name a few. We might just convert these boxes into cool retro posters for our walls. Get Some Of These Flavoured, Macaron Lip Balms For Winter—Stat! Nykaa Just Launched Lipsticks With 10 Colours Inspired By India's Major Cities!